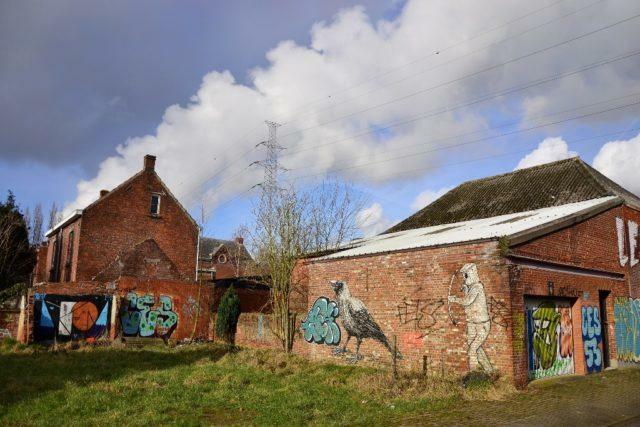 In the Flemish province of East-Flanders, there is a subdivision of the municipality of Beveren called Doel. 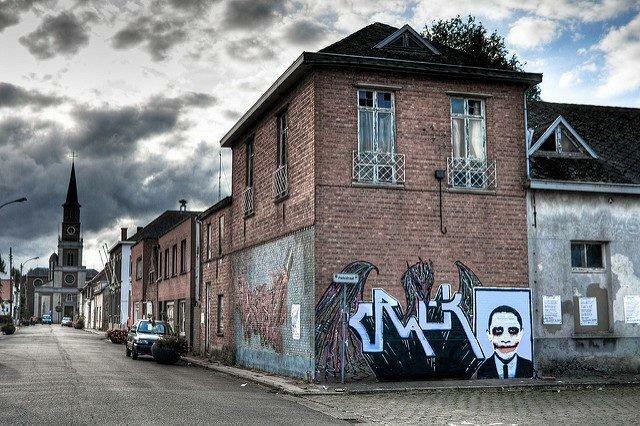 It is a 400-year-old village north-west of Antwerp, Belgium. This small village should have been erased from the map 20 years ago because the government needed the extra space for their shipping docks. However, determined members of the ever-dwindling locals have been fighting for their homes and the village. There were roughly 1, 300 residents in this town during the early 70s. Now, only 25 inhabitants remain. 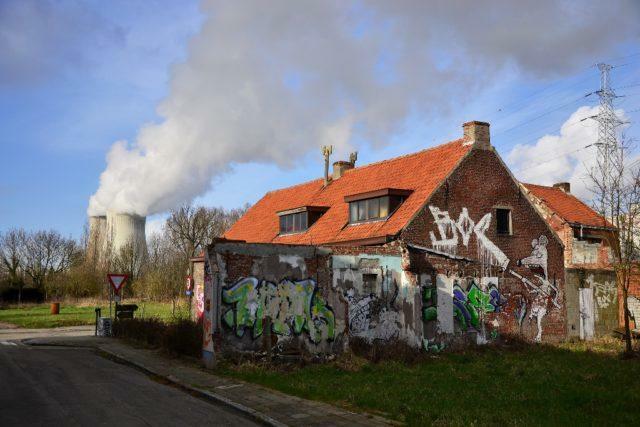 However, in 1999, despite of the people's will, Doel could not be salvaged. The old town was officially scheduled for total demolition. 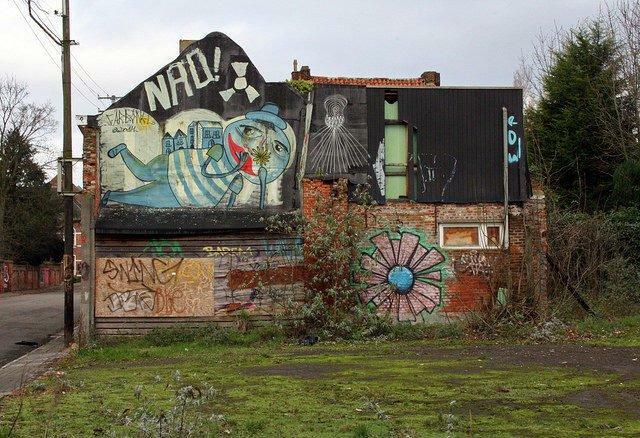 In 2007, the Doel 2020 campaign group decided to make the town of Doel the city of graffiti. 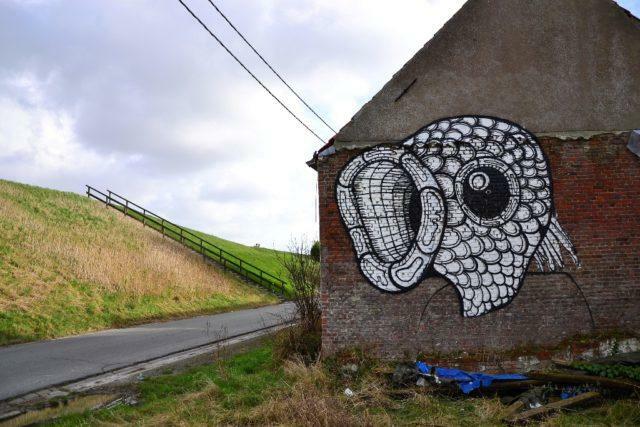 Few residents even urged street artists to show up, so they can initiate an open-air gallery. 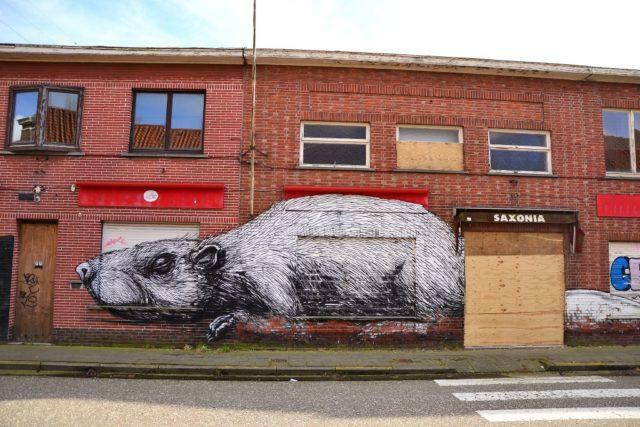 The village was able to attract some street artists all over Belgium and abroad who left their mark. 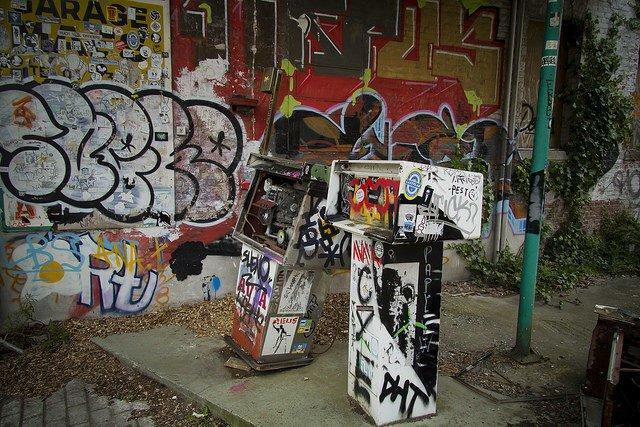 Soon, the whole village is filled colorful with tags, some stencils, and free-hand paintings. 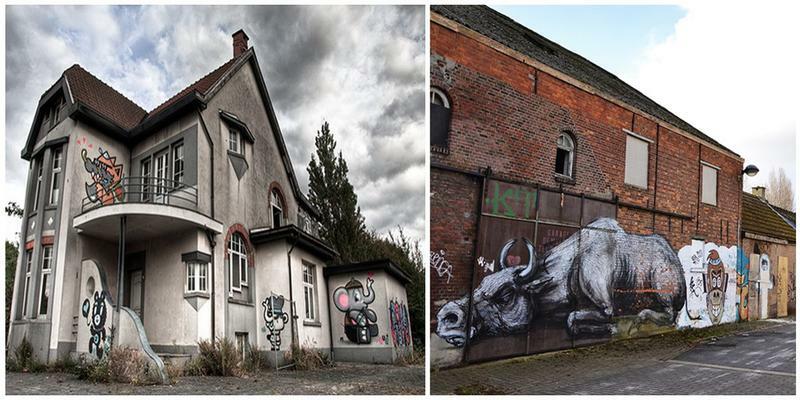 The deserted houses felt like a surreal experience from within. 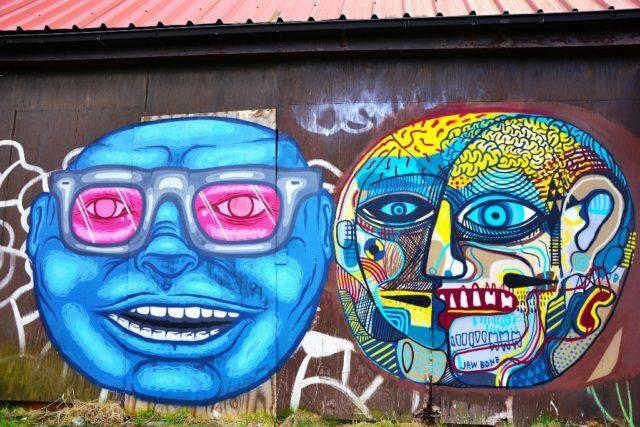 Graffiti are everywhere – in schools, over gas stations, and the consistent hum of high-voltage power lines have intensified the post-apocalyptic atmosphere. 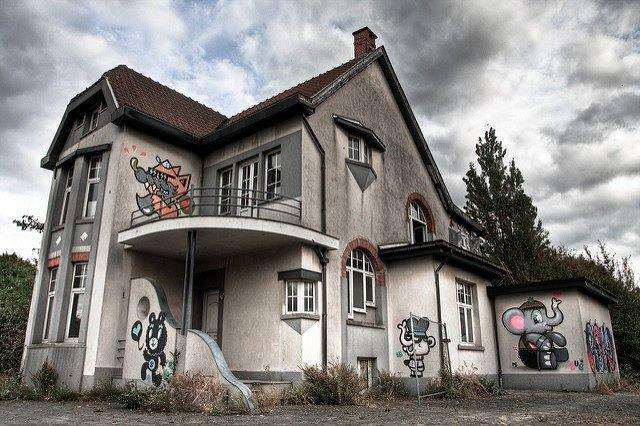 Many houses still have some furniture and toys lying around. 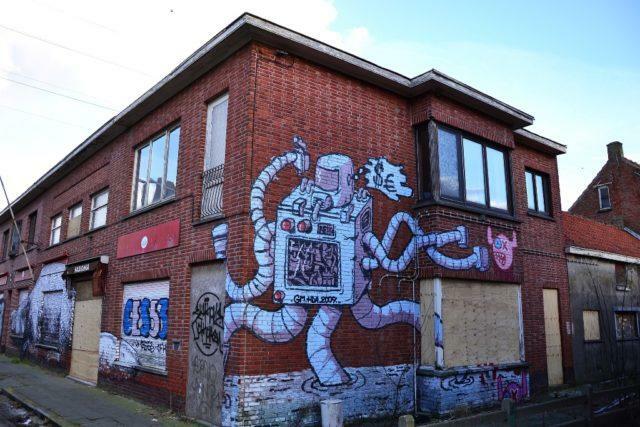 Although the buildings in Doel are mostly typical 20th century-styled terraced houses, there are beautiful examples of old, historical architecture. 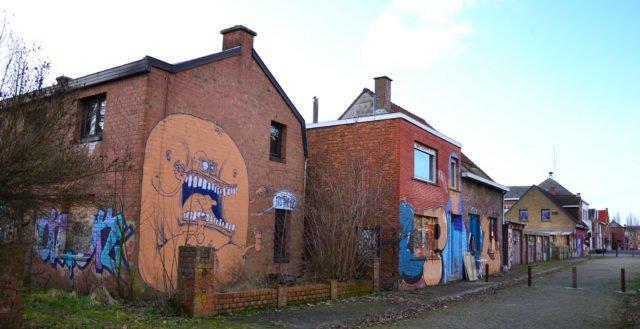 Houses date back to the 18th and 19th century, like the century town hall in Camerman Street, then the Baroque parsonage in Hooghuis street and the immaculate white villa which had been a home of Flemish baroque painter Peter Paul Rubens. 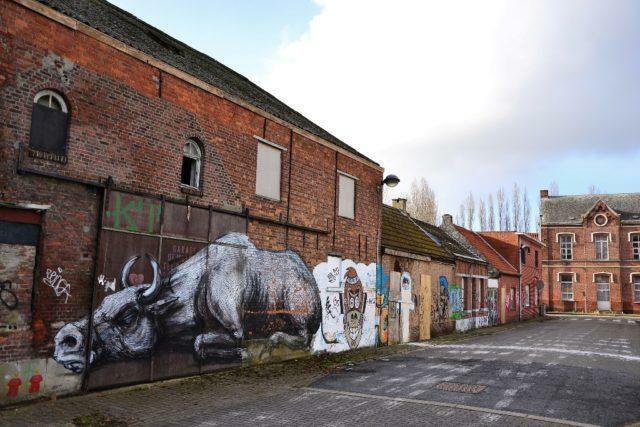 The village is still threatened to be demolished due to the future expansion of the Port of Antwerp. The strong-willed residents seemed to have lost the fight after the regional government has officially outlined its plans.